The past 13 years have seen a unique attraction rise from the sand at Søndervig. The Sand Sculpture Festival 2016 will also astonish and amaze visitors. In the course of just four days 38 artists will transform 8000 tons of sand to art, inspired by the theme ”Africa’s wild animals. The artists will begin working on 24 May in order to be finished for the official opening. It is thrilling to see the artists at work which is the reason the festival opens early. 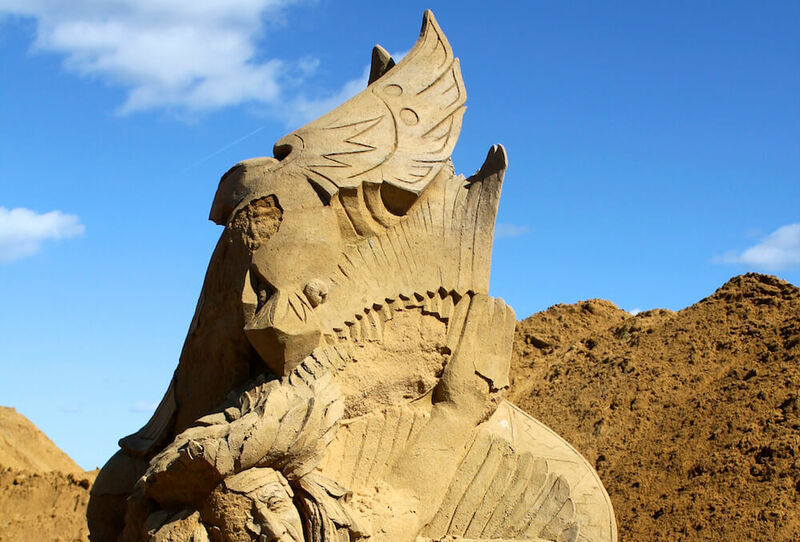 The Søndervig Sand Sculpture Festival has always attracted the most talented sculptors, thereby guaranteeing a beautiful exhibition every year. The Sand Sculpture Festival is for the whole family. The beautiful sculptures and the 200 m long and 7 m high sculpture wall can easily keep you occupied for hours. If you would like to try your hand at working with sand there are plenty of opportunities in the huge festival sand box. The Sand Sculpture Festival is open from May to November and is a unique attraction for people of all ages.